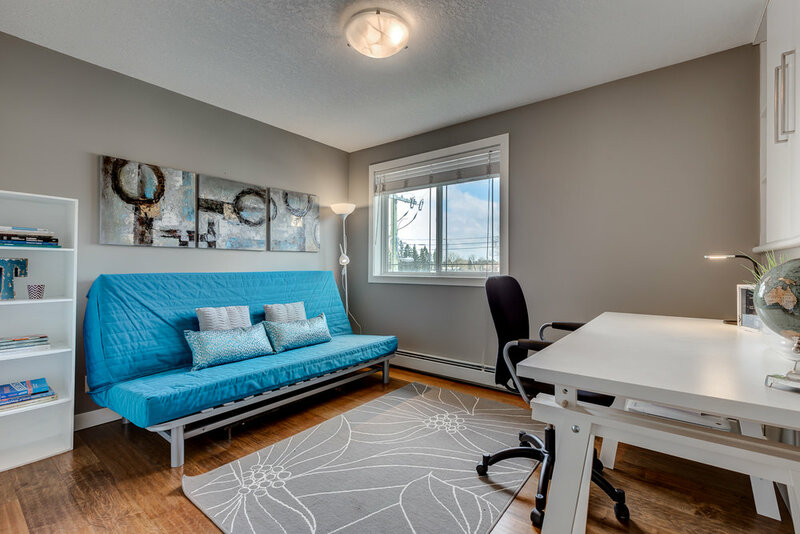 Meet MADISON – The courtyard condo in Marda Loop! This stylish two bedroom, two bathroom condo in Valhalla Court is perfectly situated steps away from all the amenities and shops a buyer could want. As soon as you enter, you’ll notice the generous open concept floorplan and the gorgeous tones of the walnut engineered wood flooring. You’ll love entertaining in this kitchen with the ample counter space and breakfast bar seating. The living room features a gas fireplace and a sliding glass door that leads out to the west facing balcony that also has natural gas hookups. It’s rare to find a master suite this large at this price point, that’s complete with a walk-through closet and three-piece ensuite. There’s a second bedroom has plenty of options for storage with built-in shelving and cabinets, making it well suited as an office or a bedroom. 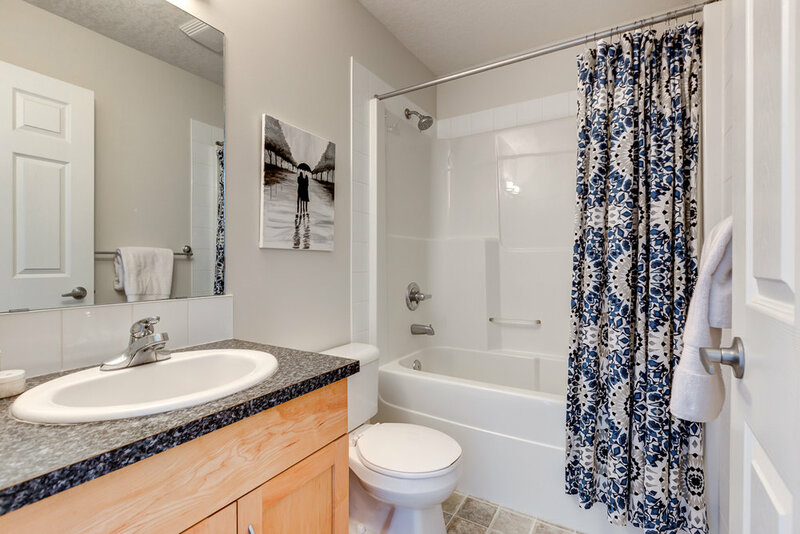 This condo also has the convenience of an in-suite laundry room and one titled heated underground parking stall.